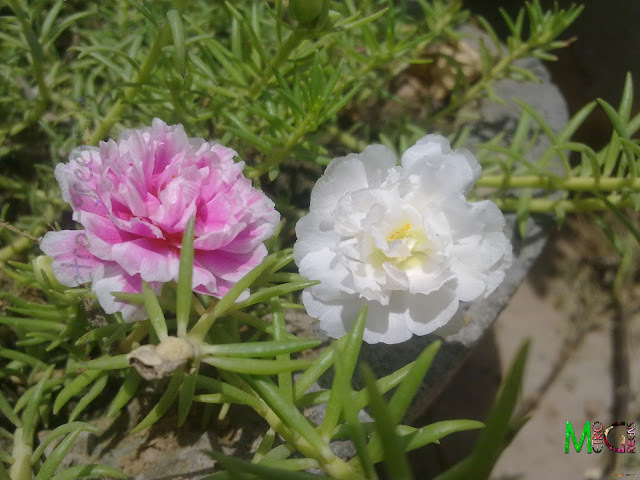 The moss roses (Portulaca Grandiflora), also commonly known as 10'o clock flower is an exceptionally hardy flower. 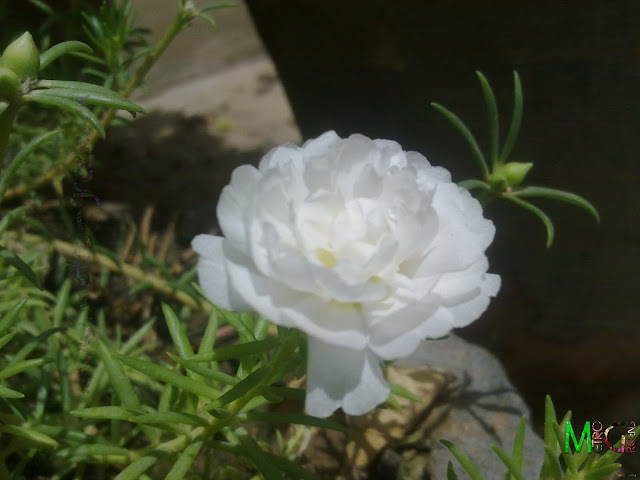 It can survive even the worst of summers. Being a good flowering plant with numerous varieties, moss roses make for a good decorative plant. 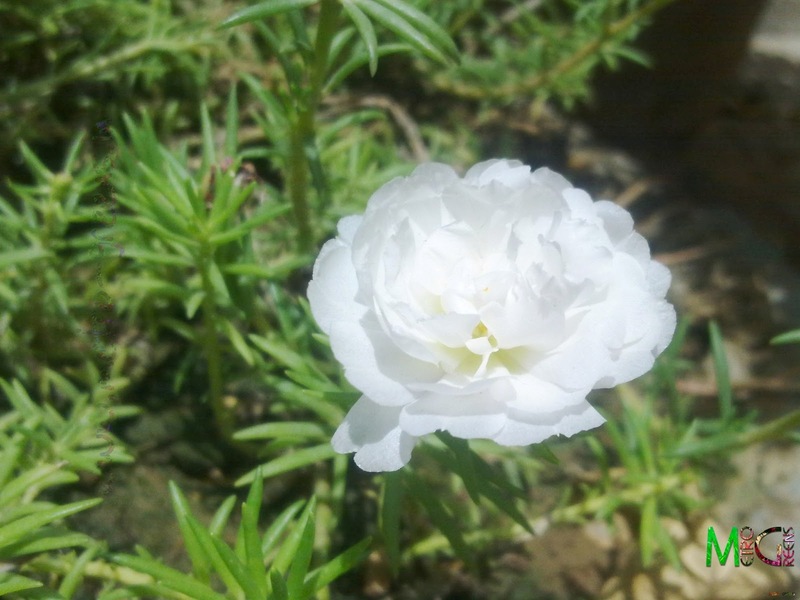 Requiring very less care and requiring the least water moss roses are extremely easy to plant and their feature of vegetative propagation, moss roses almost never die once you've put up a small stem. But these bloom only in the summer, being dormant all throughout the year. I too have some moss roses, in three colours, a multiple shaded white-pink variety, a solid pink and another one, a solid white variety. Moss roses are extremely easy to carry over from one place. All you need is just a stem from your plant, and you can plant wherever you want. Since my moss roses are blooming now, I captured some blooms last sunday. 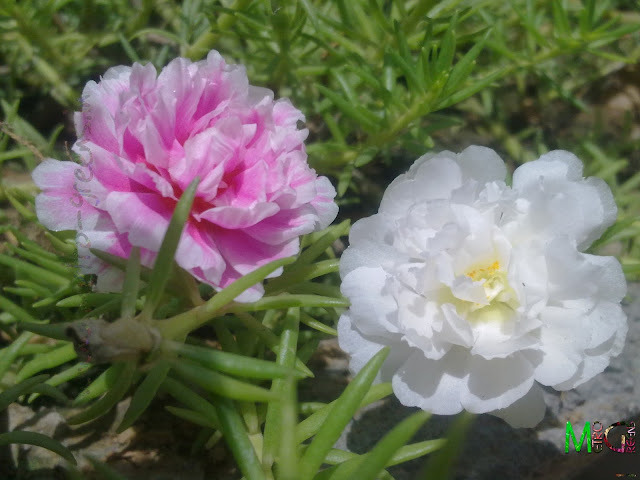 Moss Roses: A mixed white and pink and another, a white coloured variety. 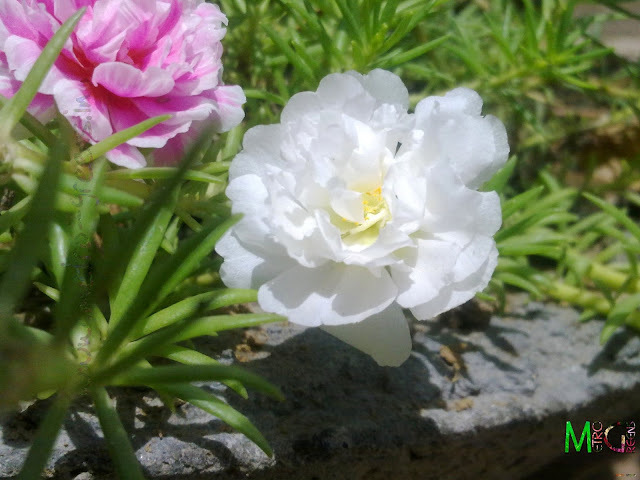 Moss Roses: A white coloured variety. You'd like to see a previous post covering some beautiful photographs of the mixed white-pink moss roses. The post can be accessed here. I'll post some more images of some of my flowers and plants soon. Till then, keep visiting and HAPPY GARDENING! wow !! Cyber Kid this amazing stuff !! awesome !!! Thanks for visiting my blog and for those words of encouragement. Thanks for visiting my blog and your suggestion Debopam. But, some of these flowers bloom in sun only, like, the Ghazania, Moss Roses and such, which can't be captured early morning or in the evening, though, shade can be done. I'll try capturing some shots in shade. Thanks. I'm glad that you find my blog useful.